WERNERSVILLE, Pa. (WPVI) -- A Berks County man is behind bars for what authorities are calling a horrific case of neglect involving his mother. Anton Bodanza, of Wernersville, is charged with criminal homicide for failing to provide necessary care and medication for the 96-year-old. Investigators say that neglect led to her death. Bodanza's mother was sent to the hospital in June 2017 and died days later of congestive heart and respiratory failure. 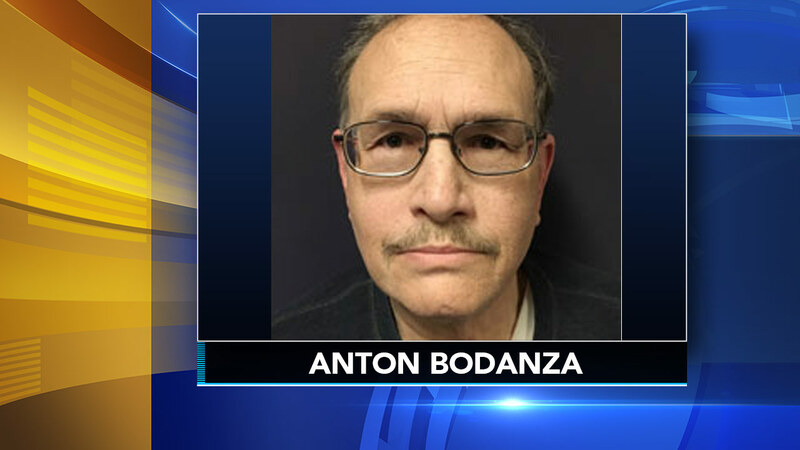 Pennsylvania Attorney General Josh Shapiro said the 69-year-old Bodanza stopped giving his mother medication that was meant to reduce water retention caused by heart failure. Investigators say Bodanza told medical professionals the medication made his mother urinate too frequently. When confronted by police, Bodanza allegedly said, "God doesn't want her to have medicine and God will take care of her" before allegedly confirming her frequent urination and admitting that he was "tired of cleaning up the mess." The investigation began after the woman's daughter became concerned because she found the 96-year-old having trouble breathing and moving. The daughter said she noticed swelling on her mother's body, and estimated she had gained 40 to 50 pounds of water weight, Shapiro said.